This week on Ask Dr. Chloe, she answers reader questions about when and where to find therapy, and discusses healthy anxiety, group therapy, and online group therapy alternatives. It can often be difficult to take the first step and begin the journey to anxiety recovery. Therapy, whether it's in an individual or group setting, can be a daunting concept, and it can also be difficult to find group therapy or other anxiety resources. 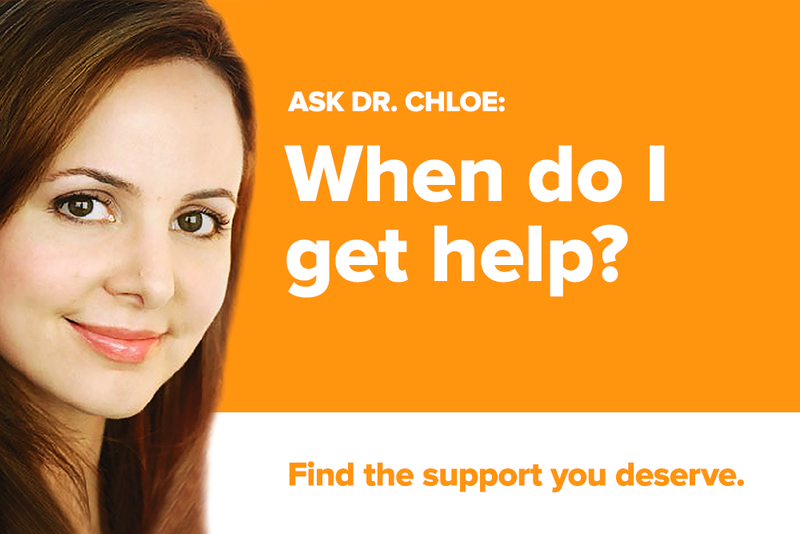 This week on Ask Dr. Chloe, she answers reader questions about when and where to find help, and discusses healthy anxiety, group therapy, and online group therapy alternatives. Mari asks: How do you know when it's time to seek professional help? Dr. Chloe: That's a really good question, and it's actually one that I hear a lot. I'd like to try to reframe the question, if I could, because there's something about professional help that can feel a little overwhelming to some people. Sometimes seeking professional help could mean admitting that "I have a problem". This notion of "having a problem" could feel really heavy to some people. Instead, why don't we ask ourselves, "How do I know when it's time to seek support?" If you feel that you might benefit from talking to somebody, then act on that feeling and get checked out. Anxiety.org: In the past, you've also talked about how patients often come in and they don't know why they're there. What's your opinion on coming in and not having a game plan of what to talk to you about? Dr. Chloe: That's something I encounter a lot. In fact, in the clinical space we have an informal term for that - we call it a client who's walking in backwards. They're kind of walking into your office but they, themselves, are honestly not really sure what brought them there. That may sound funny but a lot of problems have to do with people pushing stuff to the back of their minds and going out and pretending that everything's fine. To a certain degree that's a healthy behavior because we don't want to over focus on our problems. But, some of us do it so well that we become disconnected from what we really need to talk about. A therapist can help you find the right words to express your problems and what there is to do about them. Jennifer asks: Can someone actually fully recover from severe anxiety? Like 100 percent recover. I feel I may get better but it'll always be in the back of my mind. Can I just put this year behind me and never look back? Dr. Chloe: What a lovely question! One that summarizes so beautifully what I believe is a tendency a lot of people with anxiety have. People with anxiety tend to lean towards perfectionism - and perfectionism is, as we know, an extreme and therefore not healthy. The truth is, you're not supposed to be 100% anxiety free. There's actually healthy anxiety, where you're supposed to struggle or feel challenged. A person without anxiety at all would be alone and we don't want to be that way. Know that you can't fully recover from anxiety, and that we do not want you to. However, it is a lifelong process of continuing to notice, grow, be true to yourself, and face challenges that may have been overwhelming to us before. But are these challenges that you can surmount? Yes! In other words, anxiety accompanies new challenges. We all have things that used to give us great anxiety that we have since mastered, and then we seek new challenges so we can keep growing. Challenges are part of healthy development and growth, growth that we want to sustain over our entire lives. Healthy anxiety is what keeps us conscientious and vigilant for mistakes; unhealthy anxiety keeps us from engaging with normal 'growing pains' and struggles that actually lead to growth. Carolyn asks: I would like to find more groups to join besides my group therapy every Tuesday. Outside of this, what other organizations, support groups, and resources for anxiety are available to me? Anxiety.org: Carolyn shares a similar problem with many others. There's a couple of things you can do if you don't know where to go for local resources - the hospital or doctor's office you visit will have a list of relevant resources, and major universities (especially those with a Psychology department) also tend to have programs like group therapy, often open not only to university students. Try calling a large hospital or major university near you, or, alternatively, call your local government and ask about active support groups and programs available in your community. ADAA.org also has an online resource for finding therapists and counselors near you. Dr. Chloe, we heard that you're hosting online group meet ups every Thursday. What are your thoughts on online group therapy? Dr. Chloe: Yeah! Thanks for the opportunity to talk about my groups! I'm really excited about them for a lot of reasons. Some people in their environment are just not connecting with therapists or other positive sources because there aren't a lot of resources nearby or convenient for them. Therapy is something we benefit from having more than once a week if possible. Even for people who are already in individual therapy, additionally attending group therapy or something similar could be a nice add-on. And that's why I created my anxiety groups on DrChloe.com. People who are interested could go online to Dr.Chloe.com and learn more about it (and keep in mind that group therapy is usually covered by insurance). I think online anxiety groups are really great for several reasons, one of which is that it gives us more privacy options. Visual spatial recognition requires a greater level of touch than non visual recognition. What I mean by this is that seeing someone face-to-face is an intimate experience. Of course, we don't know the people in the group, right? They're not our friends yet. It's a group environment facilitated by strangers, and we're taking on a certain amount of stress by coming together as a therapeutic support group. By giving people the option of whether or not share their face or video with the group, it gives them the chance to participate with a level of comfort that works well for them. I think that for many people who choose not to use video, they like having that choice and a chance to get comfortable. And then, if they want to, they can always click and share video. Also, of course another huge benefit of therapy online is that it makes it portable for people. If you just have an hour between getting out of work and getting to gym, then you can fill that gap with an online group therapy session. Online accessibility makes it much easier for people to consistently attend therapy without the stress of running all over town. Anxiety.org: Can you walk through a typical session and what it's like to attend group therapy? 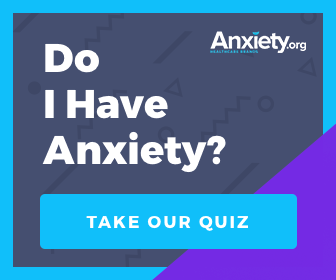 Chloe: Through my anxiety tools website I have an online learning platform that covers my nine favorite therapy tools for anxiety. I put a lot of effort into creating this, and the reason I did was because there was a huge demand for having low-price, budget-friendly online tools. The tools I found to work best are the ones that we cover during my online groups. Something else that I think is worth emphasizing is that in any good group therapy environment you get the chance to give and receive support. You get to watch your peers going through some of the same issues that you are. To know that you are not the only person going through these issues is powerful: sometimes we watch our peers come into the group one week with a problem and feeling discouraged. Then the next week, we see the peer return to the group saying, "I tried some tools and they actually worked!" There's something about watching people do that that's very helpful for people - it's a psychology called modeling. In Buddhism we have something else that is called the sangha. This involves the spirit of community, and the idea that a good, positive community in itself can become a cure and help people learn. So, group therapy can have all kinds of wonderful facets to it. I just think that for the most part, the busier we get, the less practical it becomes for us to literally go to a group and be in therapy with them. Also, there is the whole trust model and the visual recognition part. It seems like the development of online therapy methods is solving a lot of problems.